Java 5 introduced java.util.concurrent.Callable interface in concurrency package that is similar to Runnable interface but it can return any Object and able to throw Exception. Callable interface use Generic to define the return type of Object. Executors class provide useful methods to execute Callable in a thread pool. Since callable tasks run in parallel, we have to wait for the returned Object. Callable tasks return java.util.concurrent.Future object. Using Future we can find out the status of the Callable task and get the returned Object. It provides get() method that can wait for the Callable to finish and then return the result. Future provides cancel() method to cancel the associated Callable task. There is an overloaded version of get() method where we can specify the time to wait for the result, it’s useful to avoid current thread getting blocked for longer time. There are isDone() and isCancelled() methods to find out the current status of associated Callable task. If you submit a Callable object to an Executor the framework returns an object of type java.util.concurrent.Future. This Future object can be used to check the status of a Callable and to retrieve the result from the Callable. Here is a simple example of Callable task that returns the name of thread executing the task after one second. We are using Executor framework to execute 100 tasks in parallel and use Future to get the result of the submitted tasks. NEXT READ Thread Pool Executor in Java. 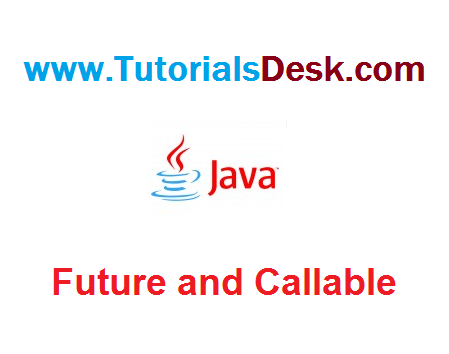 Hope we are able to explain you Importance of Future and Callable in Java, if you have any questions or suggestions please write to us using contact us form. (Second Menu from top left).